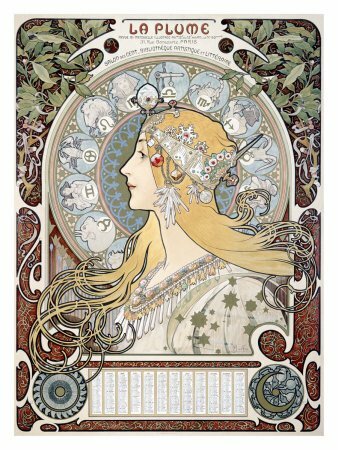 ‘Zodiac’ by Alfons Mucha (1896). It is one of his most successful paintings. It was originally produced as a calendar for Champenois and later selected by the editor of La Plume as the design for his magazine. The signs of the Zodiac fill the circular background and encircle the central figure.